As irregular migration and asylum-seeking flows to Europe – and globally – intensify, the role of migrant smuggling networks in shaping these flows is receiving increased attention. 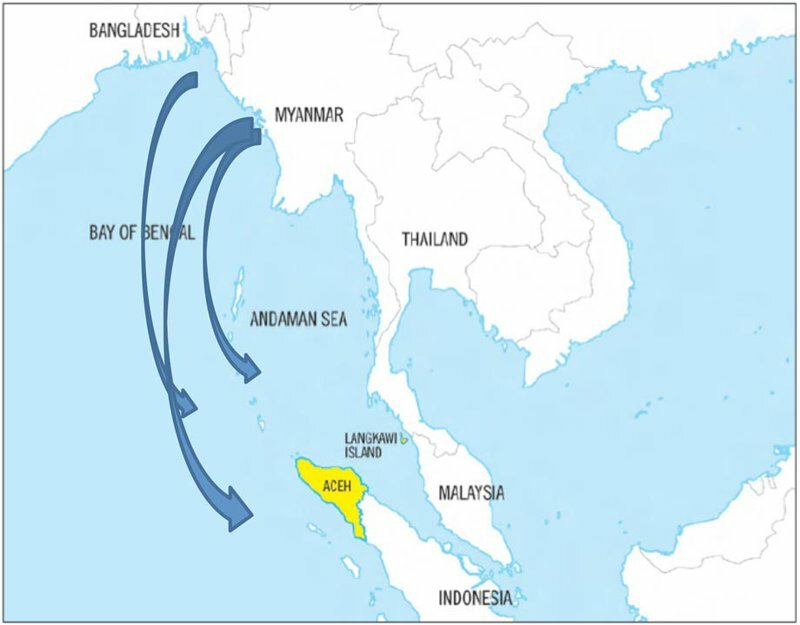 In reviewing two recent migration/asylum seeking crises – the Mediterranean refugee crisis and the case of the Andaman Sea in southeast Asia, both taking place in 2015 – I argue that there is an increasing tendency to address migrant smuggling purely as an issue of criminality and security. An approach of this kind, however, is less than advantageous. Instead, I call for a more nuanced understanding of people smuggling as a social and economic phenomenon rooted in local societies. Recent policy developments at the EU level provide a useful example on how the focus on irregular migration and asylum-seeking governance today is much too geared to combatting smuggling networks. Southern European countries and Greece in particular have been confronted with exponentially increasing flows of asylum seekers and irregular migrants since 2013, and particularly during 2015-2016. Indeed, nobody predicted the dramatic escalation of irregular maritime arrivals that took place during 2015 and lasted till early 2016. 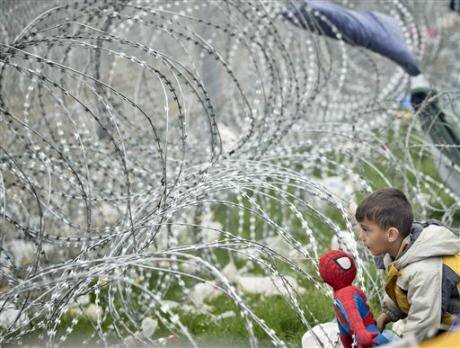 During 2015, Greece received over 770,000 people through its maritime borders with Turkey. During the first two months of 2016 alone some 102,000 people crossed the narrow straits that divide the Turkish coast from the Greek islands of Lesvos, Samos, Chios, Leros or tiny Tilos and Farmakonisi. The top countries of origin of irregular maritime arrivals to Greece originate from Syria (over 50% of arrivals); Afghanistan (25%-30%) and Iraq (ranging between 10% and 20% in recent months). These arrivals comprise a population that is clearly in need of international protection, and which has used the services of smugglers at various parts of its journey – including the last leg involving maritime crossings. In response to these flows – most of which aim to reach Germany, Sweden and other northern European countries – the European Commission has made the fight against smuggling networks a priority. Operation Sophia – approved by the European Council in May 2015, as the fast increase of the flows became evident – sought to tackle human smuggling through military means in the countries of last transit of irregular migrants and asylum seekers – Libya in particular. The plan was to use military force to destroy the boats smugglers used along Libya’s coasts. However, Operation Sophia has not been implemented because the conditions for such implementation are unlikely to be met: namely that the operation must take place in the territory of the third country (Libya) with the agreement of the country’s provisional government. Furthermore, it should be authorised by the UN Security Council (which is quite unlikely to concede authorisation). As the refugee flows escalated during the summer months of 2015, and as the Greek-Turkish maritime borders became the main migration corridor into the EU, the latter sought to engage Turkey in the fight against smuggling networks and in the management of the human flows. An EU-Turkey joint action plan, through which the EU was to provide financial compensation to Turkey for its collaboration, was launched in October 2015. The plan called for the integration of the Syrian asylum seekers in Turkey – the country was already hosting more than two million people – in exchange for Turkish cooperation to combat smuggling networks operating on its shores. The plan – which was never implemented – pre-dated a February 2016 decision to use NATO forces to patrol the Greek-Turkish maritime border, which also sought to stop smuggling networks from launching dinghies loaded with asylum seekers/irregular migrants to the Greek islands. In the last EU-Turkey summits of 7 March 2016 and 17-18 March 2016, a cooperation plan was further discussed where the core measure for taming the refugee influx involved returning people smuggled from Turkey to Greece back to Turkey, in exchange for relocating Syrians still present in Turkey to the European Union. The aim of this measure – which went into effect this week, and which has been hotly debated as it is likely to contravene the EU’s own asylum system and adherence to the Geneva Convention – is allegedly to dismantle the smuggling industry that has ferried some 800,000 asylum seekers and irregular migrants from Syria, Afghanistan and Iraq to Greece from Turkey in the past months. In this transnational governance approach, smuggling is seen as a security threat and as possessing an illicit business model that needs to be dismantled. However, the deeper economic roots of smuggling in Turkey continue to be neglected – namely the large number of small shop owners that have made a fortune selling life jackets and related gear, the car and home owners who help with transportation of the ‘customers’, the owners of houses and hotels in the areas near the port of Mersin where Syrians used to board the larger vessels in late 2014 to be smuggled into Italy. These are people who cannot be called criminals but who create the habitus within which smuggling takes place. Smuggling provides for these parallel businesses – one which possesses its own socio-economic dynamic. This does not mean to suggest that migrant smuggling is not a crime. It means, however, that better management of irregular migration and asylum-seeking flows requires not only the eradication of criminal networks but also concerns the treatment of local and regional socio-economic dynamics and relations. Transnational governance networks such as the one that has emerged during the Mediterranean refugee crisis – which has brought EU institutions and national governments together with international organisations involved in asylum seeking and migration management (e.g. UNHCR, IOM) and large NGOs (e.g. International Rescue Committee and the Red Cross) – are more likely to skip this contextual aspect of smuggling. Yet the local socio-economic context is the missing link for creating an effective response. Before elaborating this point further let me turn to the crisis that has unfolded since May 2015 in the Indian Ocean, particularly along the Bay of Bengal and the Andaman Sea, mostly in relation to Rohingya refugees. The Rohingya, an ethnic minority residing in Bangladesh and Myanmar who have largely been made stateless through policies of exclusion and persecution in both countries, have become easy prey for both migrant smuggling and human trafficking networks. There are about 200,000 Rohingya who live in Bangladesh in the Cox Bazar area and an estimated 800,000 who live in Rakhine State in Myanmar. Both populations live in dire conditions. They are deprived of basic rights and lack state support, and are refused fishing and rice cultivation permits with no possibility of other work. Inter-ethnic violence in the region has escalated since 2012, making the Rohingya increasingly vulnerable and forcing them to opt for unauthorised maritime migration to Thailand and Malaysia. UNHCR estimates that some 87,000 people have tried to migrate from Myanmar and Bangladesh to those two countries. The situation reached critical proportions after the Thai government cracked down on trafficking networks following allegations from Amnesty International and others that corrupt officials were collaborating with said networks. UNHCR estimates that some 31,000 people travelled irregularly by boat through the Bay of Bengal in the first six months of 2015, while another 61,000 had done so during 2014. These included mostly Rohingya stateless persons from Myanmar and also people from Bangladesh (whether Bengali or Rohingya) fleeing destitution. The Thai government intercepted boats and did not allow their passengers to land, opting instead for providing them with supplies and sending them back into the ocean. The practice, known as the ‘help on’ policy, led to the stranding of nearly 7,000 people, as they were abandoned by the smugglers when the difficulties of landing on Thai or Malay shores became apparent. People, including families with children, were abandoned for nearly a month without water or food in the Andaman Sea. Following international criticism Indonesia, Malaysia, and Thailand partly changed their approach. Indonesia and Malaysia provided temporary shelter for up to 7,000 people, according to Amnesty International, on the provision that they would be resettled to some third country if they were found to be asylum seekers or repatriated if they were declared to be migrants. Two emergency meetings were held by ASEAN at the initiative of the Thai government to consider the handling of the crisis, but priority was given to so-called migrant offshore aid stations rather than to disembarkation and the provision of shelter to the survivors. Emphasis was put on combatting migrant smuggling and trafficking and dismantling the networks, while little initiative was taken to address the root causes of the crisis or to improve the livelihoods of the communities at risk. The case of the Rohingya illustrates how transnational governance networks privilege policing approaches targeting smuggling networks, oftentimes overlooking the root causes that make people flee their home country as well as the socio-economic dynamics involved in migrant smuggling. The securitisation and criminalisation of migrant smuggling tends to obscure the much more complex nature of the phenomenon, which is deeply rooted in countries of origin and transit. Mainstream approaches to the analysis of human smuggling focus on the social organisation of smugglers’ networks. As I lay out in my 2012 book (co-authored with Thanos Maroukis), while people higher in the hierarchy may be involved in other types of organised crime, such as drug trafficking, others – especially local agents or guides – may be people with ‘normal’ jobs who give a hand to smugglers in order to make some additional income. Smuggling also involves people who put their car or truck at the disposal of the smugglers for a fee; who sub-lease their homes; who sell goods and food for the smuggled migrants en route; who sell their old fishing boats (as typically happened around the area of the port of Mersin in Turkey in 2014); or who act as intermediaries to provide smuggling networks with rubber boats or life jackets. These are people who work within the parameters of legality even if they ultimately provide services that support a criminal network. This petty trade and low-scale economic activity provides much needed income in transit regions (e.g. across the Iran-Turkey border, the Turkish coasts, or those of Bangladesh or Myanmar). The labour performed by these actors turns them into important agents in the overall smuggling process, yet they should not be considered part of criminal networks to be persecuted by smuggling enforcement operations. They are, however, crucial actors that need to be taken into account as part of any efforts to govern irregular migration and asylum seeking, and to combat migrant and asylum seeker smuggling. Transnational governance networks tend to overlook these local realities and contextual socio-economic dynamics, preferring to categorise the phenomenon in terms of the policy areas concerned. Under these parameters smuggling is an illicit activity that pertains to the area of policing and criminality, and does not require an exploration of socio-economic development or legal protection systems. Even less attention has been paid to how gaps in asylum management systems, including the most advanced in terms of regional cooperation like the European asylum regime, create niches within which smuggling networks operate and sometimes even flourish. 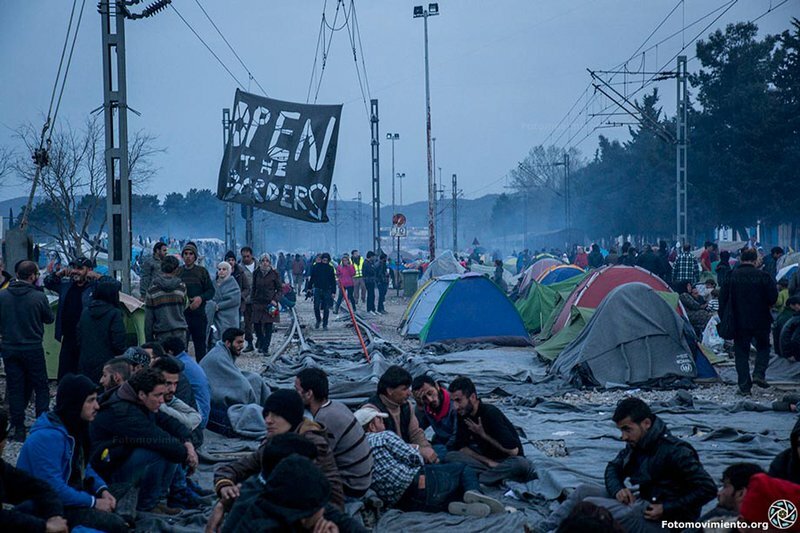 For instance, the current (March 2016) border closure along the Balkan route, which has stranded nearly 50,000 asylum seekers and irregular migrants in Greece, provides a pool of potential customers who are ready to use the dubious services of smuggling networks in order to find a way to proceed further north. Similarly the lack of national and regional protection systems for stateless persons and asylum seekers in southeast Asia creates a large vulnerable and desperate population that will seek smugglers in order to migrate to neighbouring countries in the region. It remains puzzling why governments do not privilege more long term solutions like labour market integration, support in transit countries, and more funding for protection over policing and enforcement.